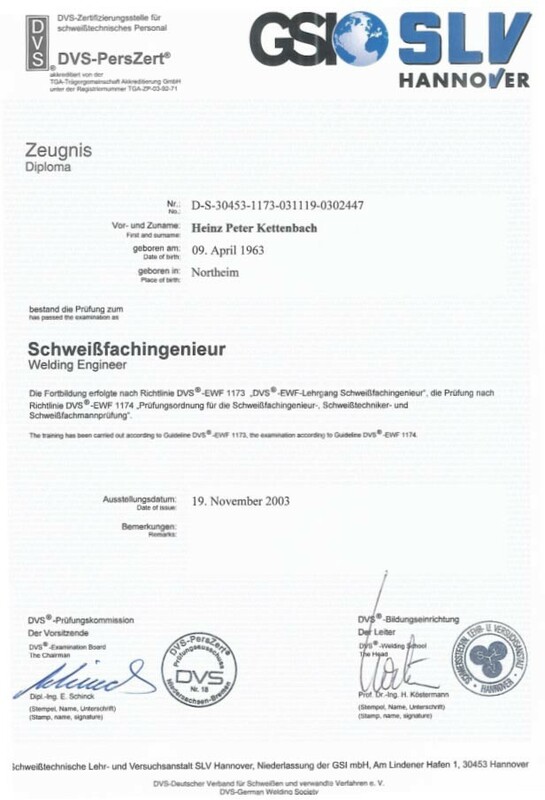 Kettenbach-rostfrei has many years of experience in working with stainless steel in the field of sewage and water treatment plants and building construction. The planning, execution, and quality assurance of all projects in Europe is supervised by Kettenbach-rostfrei in Hannover. 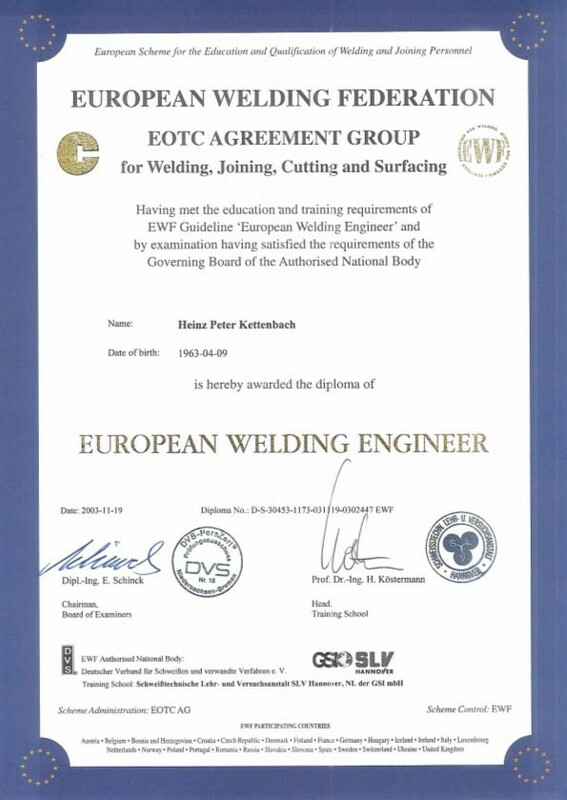 From delivery to acceptance by the client, the quality of the materials used and of the welding is checked, as well as whether the permitted tolerances have been adhered to. This is done on the basis of the construction plans and data sheets based on DIN EN 729. All machines and plant components are checked by the responsible supervisor and by Peter Kettenbach before they leave production. 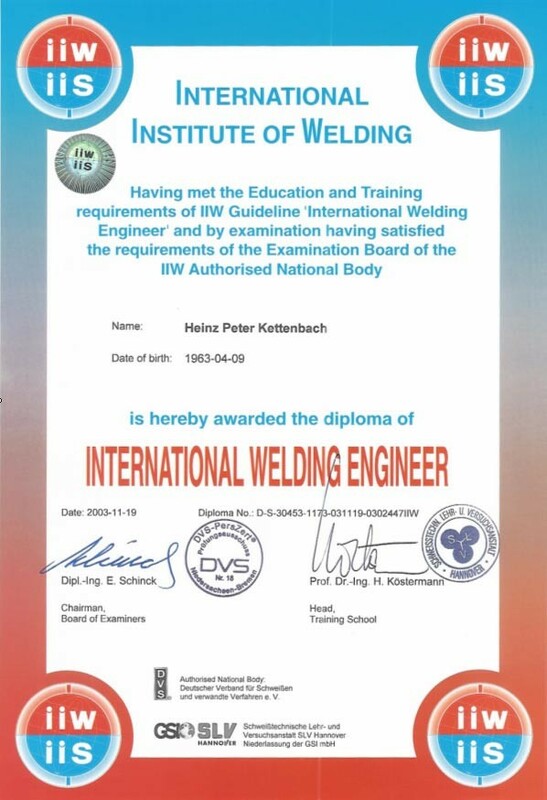 Peter Kettenbach attended one of the leading technical welding schools in 2003, receiving recognition as a welding engineer from the German Welding Institute, the European Welding Federation, and the International Institute of Welding. He regularly attends courses to remain up to date.